Update: Sophie has been returned to Colorado per the Judge’s order. 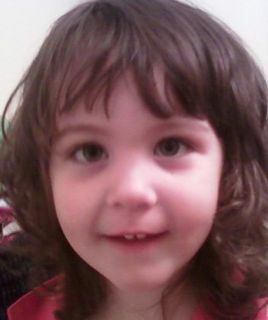 Sophie Allen, 4, from Colorado, was taken by her mother on her last home visit on June 8, 2011 and may be in Polk County North Carolina. The Judge has ruled that Sophie is to be returned to Colorado by July 19. Sophie’s mother goes by the name of Annie Robinson or Allen or Welter or Cantrell. She may be in the North Carolina area or possibly the Florida area. Please call Sophie’s father, Beau Allen 720-427-7938 or her Grandmother, Tina (Nahler) Allen 720-382-6619 if you have seen them.